You know how you listen to a song, think it’s by a certain artist, but then realise that it’s not? Then you track down the original recording of the song, and end up listening to the entire album/EP the song was originally from? This is how it was with my exposure to indie/pop/worship artist Josiah James, and his song “Sinking Ships”. Not knowing that it was a cover, I enjoyed Lincoln Brewster’s version of what I reckon is one of my favourite songs of 2014 so far. Initially thinking ‘Gee, Lincoln has written a winner’, I investigated, and found out (through youtube) that “Sinking Ships”, alongside “Let it be Known”, were covers. Researching the original writer of the song, I stumbled across Josiah James, listened to his rendition, and discovered his EP…and now here I am, reviewing it, assessing it to be one of my favourite EPs of 2014 so far. Funny how things work out right? A singer/songwriter from Sacremento, California; Josiah’s musical technique that boasts an acoustic guitar, enthusiastic singing, and a whole lot of heart, looping percussion and other simple musical techniques is what makes his music different from radio friendly pop that is current and popular nowadays. 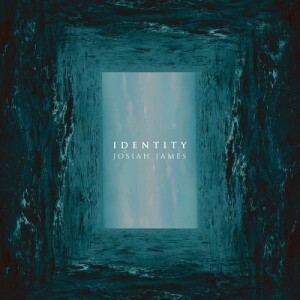 Showcases all of these skills on his latest EP titled Identity, Josiah and his passion for bringing music to listeners that speaks to the soul is something that I reckon will be a great asset for him in months and years ahead. Initially heard on Oxygen by Lincoln Brewster, “Sinking Ships” is by far one of my favourite songs of 2014, and a certain highlight of both Josiah’s EP and Lincoln’s as well. Shorter than Lincoln’s version (3:02 as opposed to 3:20), this real gem that comes in a story-song (about someone jumping overboard to save someone from drowning) is shown to be what we all need as Josiah reminds us all to ‘…hold on tight, your ship is going down, in the storm of life, I won’t let you drown; it’ll be alright, now if you just hold on…rescue has come…’ Vocally reminding me of Aaron Gillespie from Underoath and The Almost; Josiah uses every second of the three minutes to deliver the most poignant song on the EP, despite it being one of the shortest. While the instrumental bridge is omitted (and the bridge is replaced with a 3rd verse), the song still has the same effectiveness. Certainly not flying under the radar now (considering that Lincoln has covered the melody), it is Lincoln’s popularisation that’ll help Josiah increase his fans and hopefully encourages listeners to take a leap to listen to more indie worship music in the future. Throughout the rest of the EP, Josiah gives us heartfelt melodies of hope, encouragement and a sense of realness as we peel back and take a glimpse into Josiah’s feelings, whether good or unpleasant, and remind ourselves that through all of it, God is still faithful. “Identity”, the first song on the album, is a heartfelt duet with good friend Cameron Stymeist as the song delves into the gratitude given from us to God knowing that it is in Him we have our identity rather than whatever we amass or strive at (which is never going to amount to the grace He has freely given anyway). With ethereal vocal layers, powerful electric guitar riffs and a beat that reminds me of southern gospel/country songs, Josiah brings enthusiasm, richness and something unique to the first track on the EP. Channelling Phil Wickham, in “Love Was Stronger”, we are invited into a story about salvation, and how God love was stronger than any reason, logic or defiance from us on our journey to accepting Him as our Lord and Saviour. A great song to lead out of “Sinking Ships”, the dance-pop element shown in the chorus (where repetition of the phrase ‘…love was stronger…’ seems to slightly detract from my enjoyment) is something new for Josiah- nevertheless he shows us to not be afraid to take risks, showing us a different side musically and lyrically. Ending the EP with “All I Need”, a looping percussion prominent track that is a simple worship track that conveys the fact that He is all we need because ‘…Your arms stretch wider than time and space, Your love speaks louder in every way, Your eyes look past my broken heart…’; these last two tracks on an EP that’s one of the most underrated ones of the year, give us great reminders of our Father and His love for us, despite and in spite of all our mishaps, failures and other circumstances. Creating most of the sounds you hear on the tracks from his acoustic guitar, his heart for worship is evident, not only in my favourite song “Sinking Ships” but throughout the entire EP as well. While I may not have known Josiah and his music if it wasn’t for me hearing “Sinking Ships” on Oxygen, I’m glad I did hear the music- Josiah’s talent and passionate singing alone ought to encourage us all (and intrigue myself) as we continue to listen to this under-appreciated indie/worship artist. With fans of similar artists like Lincoln, Leeland, Jesus Culture or Bryan and Katie Torwalt certain to jump at the chance of listening to the new album from Josiah, these four tracks ought to pave the way for some new material later on in 2015. Well done Josiah for such an inspired, enjoyable and enthusiastic EP to listen to!